If you want to build a stand-up comedy career, this book is a must read. If you want to write comedy, this book is a must-read. If you simply enjoy comedy ... this book is a must read. Part One offers essential advice about understanding the fundamentals of stand-up, studying other comedians, finding your own style, writing your material, working the live performance, and appearing on television. Fascinating, candid, insightful interviews with today's top comedians, who discuss at length why and how they do what they do, comprise Part Two, the bulk of the book. The third and last part of the book addresses your stand-up career through interviews with noted comedy club owners, an agent, a personal manager, and a television talent co-ordinator. 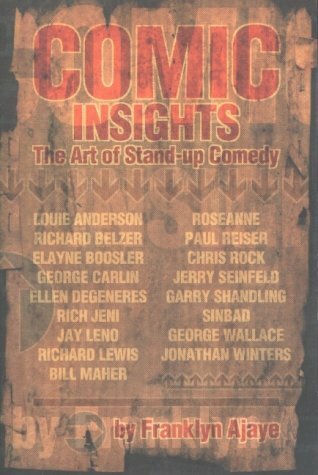 Literally crammed with the wisdom of today's finest stand-up comics, in terms of quality, quantity, and timeliness information, this book is without peer.